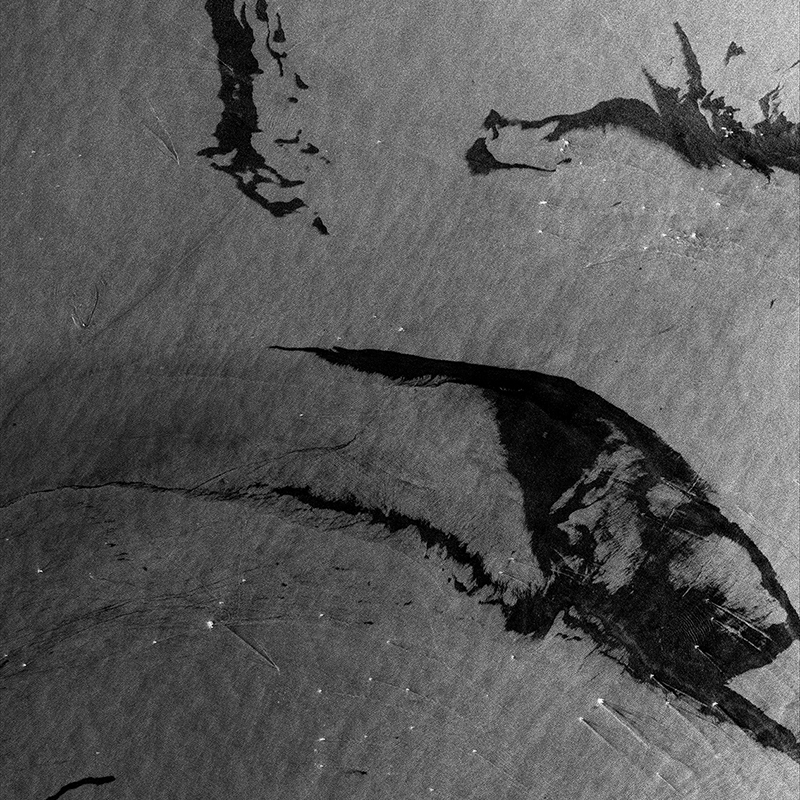 This TerraSAR-X StripMap image (6.5m resolution) was acquired during the oil leak of the offshore oil rig “Deepwater Horizon” in the Gulf of Mexico: The oil spill is visible as black streaks in the water surface. The reflection of radar waves depend on the roughness of the surface and the smooth surface of the oil film spreading on the sea surface reduces the radar backscatter to the satellite. Thus it appears as a dark area in the SAR image and allows the extent of the oil slick to be seen.